All savvy business people understand the importance of managing their relationship with their important customers. You can always rely on an expensive CRM solution or use plugins like UkuuPeople to manage your contacts in WordPress. 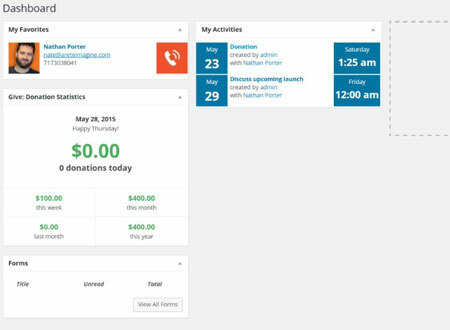 Its contacts dashboard gives you access to your contacts and record of your interactions with them. UkuuPeople lets you mange your contacts in a more effective fashion, schedule tasks, and keep record of all activities. You can give it a try here.